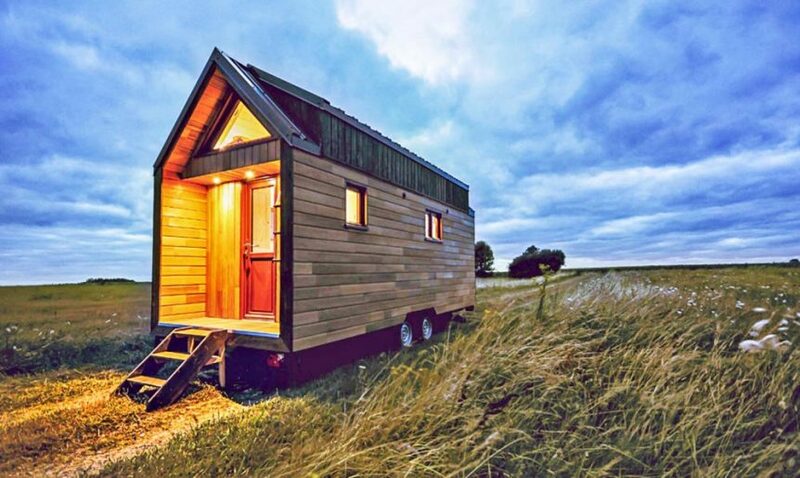 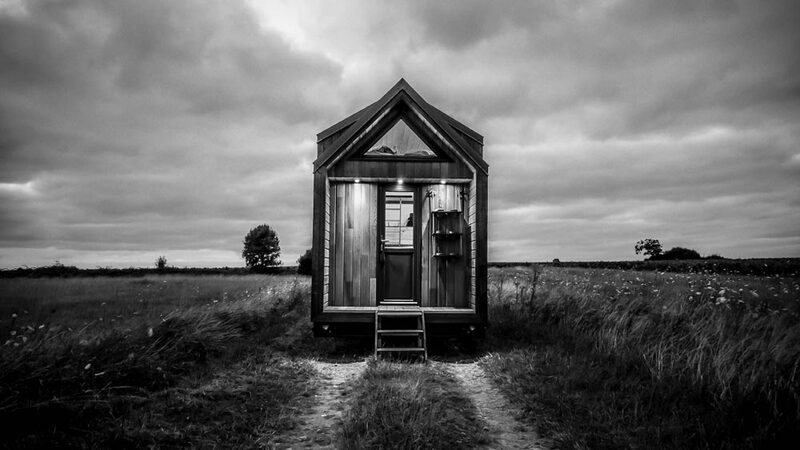 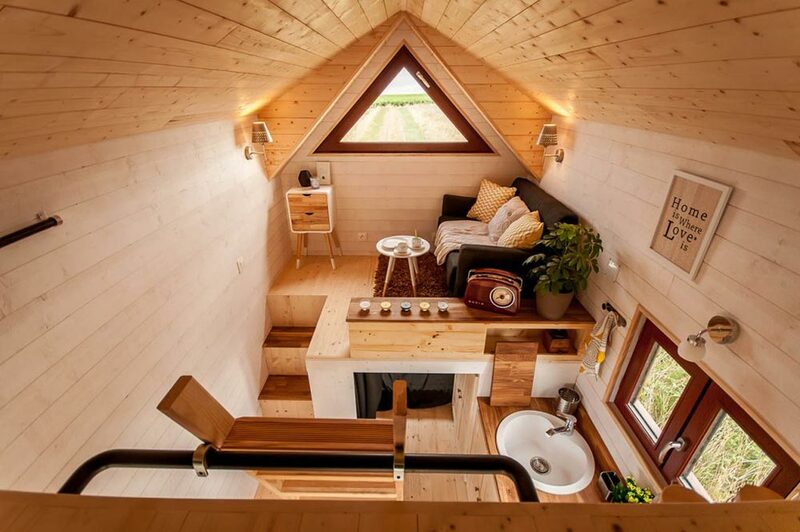 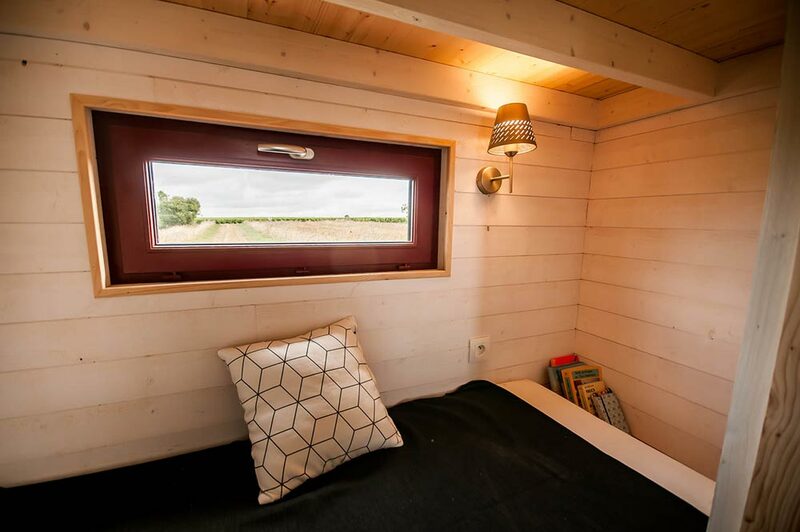 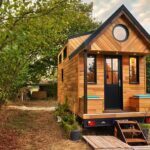 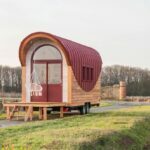 Based out of Nantes, France, tiny house company Baluchon created this custom 217-square-foot tiny house on wheels for their clients. 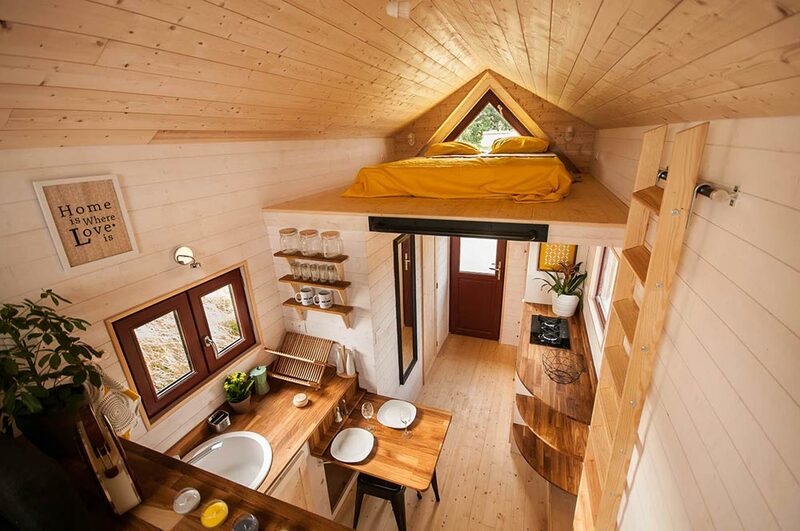 The unique layout features an elevated living area above a short room that’s used as a guest bedroom. 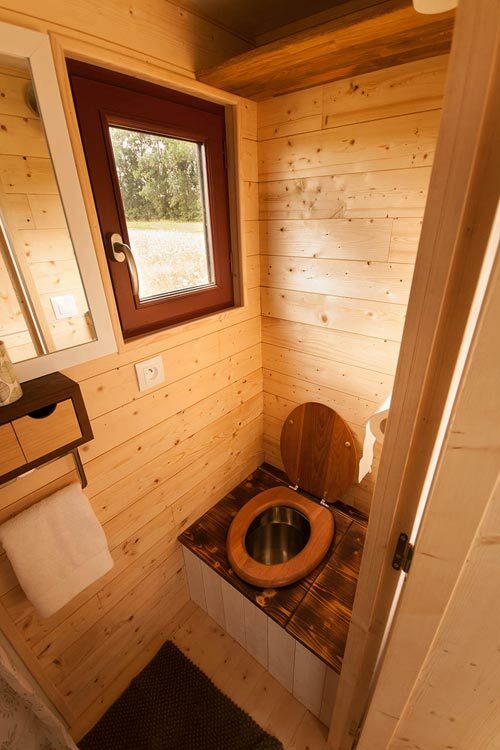 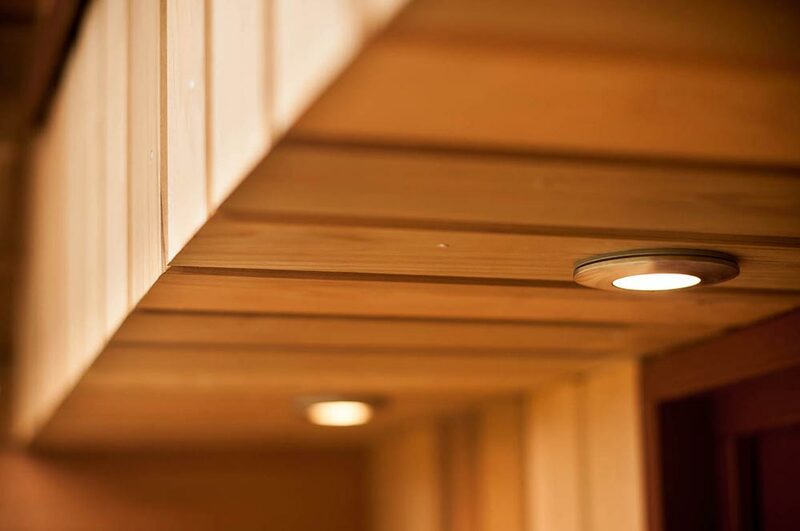 The 20′ exterior consists of red cedar and Yakisugi Douglas fir siding. 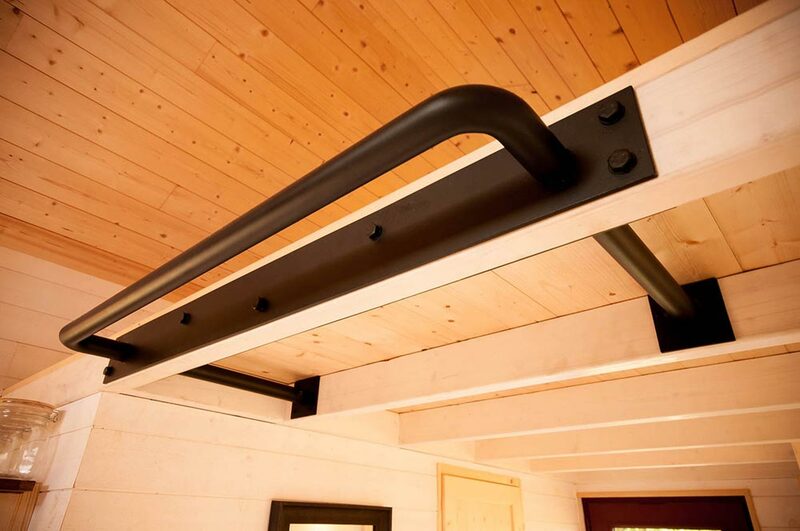 The entry door is inset just enough to allow for a covered porch and large triangle windows on either side of the tiny house allow for good cross-ventilation. 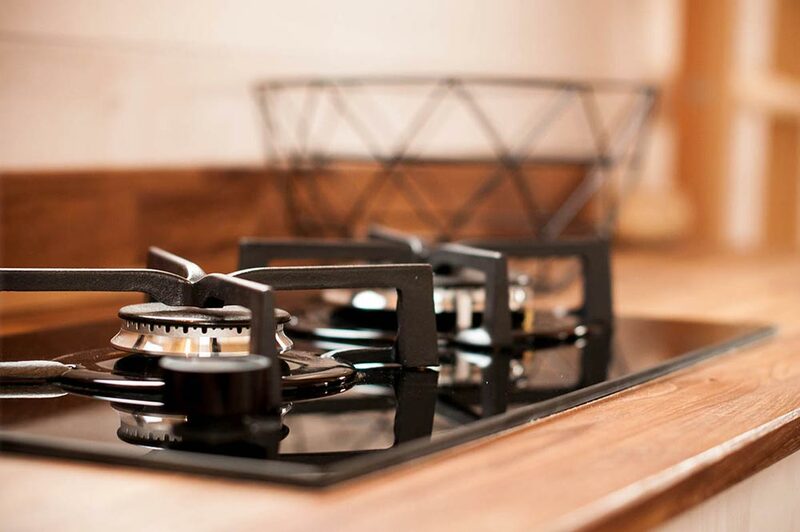 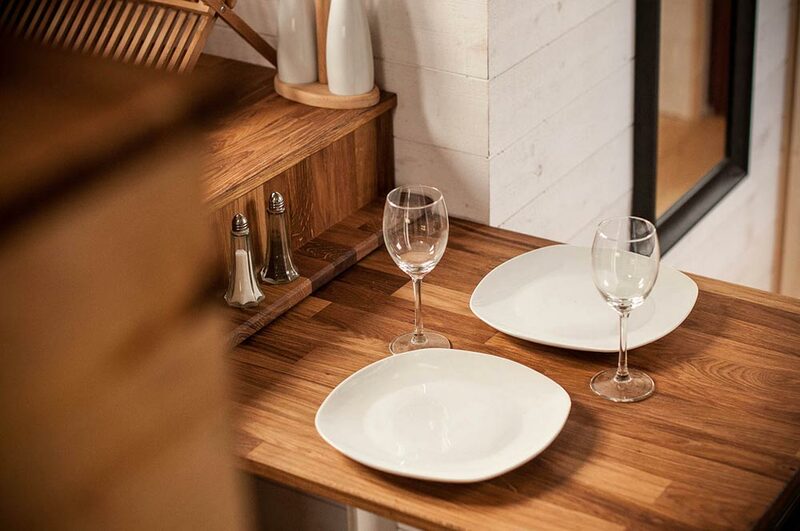 The kitchen has a sink, stove, and a fold down dining table that can be stored away when not in use. 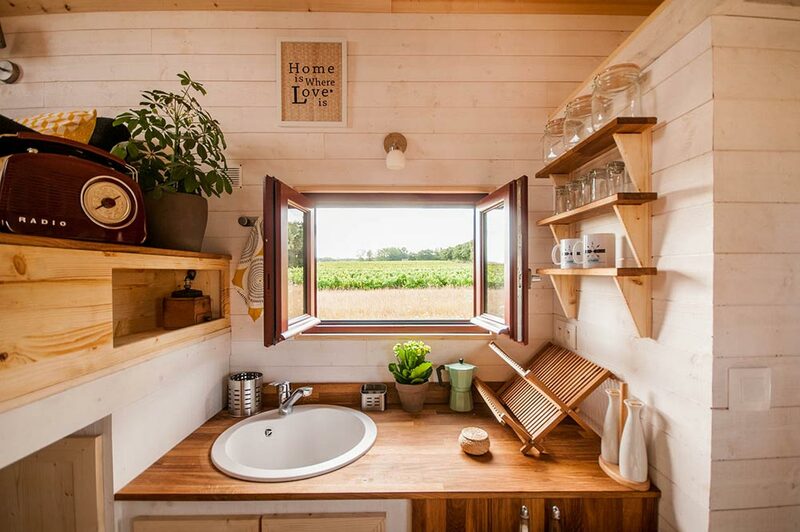 The owners are vegetarians and only wanted a small sandbox to keep vegetables cool instead of using a refrigerator.